The two-seater San Francisco is slim and elegant. Whether in your home or office, the 2 seater cuts a fine figure in both cases. Its modern two-tone design with decorative stripes complements the leather upholstery in an immaculate manner. The choice is yours: fine premium synthetic leather, Italian nappa leather or particularly exclusive buffalo leather? The San Francisco designer sofa is available with different covers and in different colours - from restrained to extravagant. The San Francisco leather sofa offers you luxurious seating comfort on the two seats. This is ensured by the tight spring core padding and adjustable headrests. On both sides of the couch you will find practical and chic storage areas as well as additional storage space. But that's not all. The San Francisco designer sofa also has battery-powered LED lighting. Do you want a blue, green or red light? With the supplied remote control, your wish comes true instantly. We deliver the two-seater complete with two decorative throw pillows. 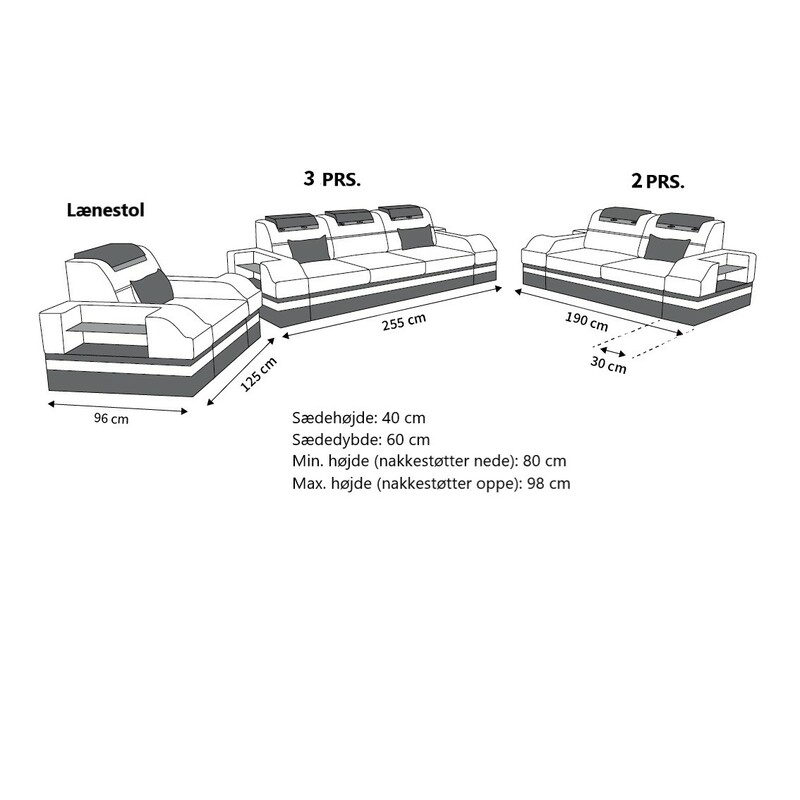 If you like the San Francisco model but need more seating, simply order it as a practical couch set. Further details on leather cover, dimensions etc. can be found in the tab "Item details".